Two weeks later, Brent texted again. “Successful, sir,” he said, “a doctor performed it.” And when he told me who the doctor was, I was startled. I was in great disbelief. I have known the doctor since childhood, and she has always appealed to me as a conservative woman, a devoted churchgoer. She sent her children to Catholic schools. In her clinic in Laoag City, she administered the birth of my sister. Two decades later, she also let my sister’s son see the light of day. It took a while before it could really sink in… that Doktora is an abortionist. When I asked around, however, I discovered that her acts are anything but a secret. She has indeed administered abortions too many. In an interview, a past president of the Ilocos Norte Medical Society (INMS) admitted that such activities of the lady doctor are not unknown in the medical circles. “So she is doing that until now?” the IMNS exec asked, indicating that the issue has long come to their attention. The INMS exec, however, could not remember any formal investigation conducted on the alleged abortion activities of the lady doctor, who is a member of the said medical society. If indeed no probe has been conducted against the lady doctor regarding abortion, it could be because the INMS has not received any formal complaint. And there are two reasons I could think of why no one has filed a charge against the doctor: either all the abortions she has conducted were successful or victims of botched ones, if there were any, are not inclined to come forward and risk public condemnation for themselves. I am not about to make a moral judgment on the doctor. Not now when the ideologically trailblazing Pope Francis emphasizes on love and compassion over “small-minded rules” on homosexuality, divorce, and, yes, abortion. Still, I asked myself, why does Doktora do it? Then I rethought the case of Brent, only one of many who had been in the same predicament. If Brent and his girlfriend could not find any doctor to perform abortion, they would pursue it anyway by resorting to a hilot. With a hilot, risks are definitely higher, and the woman is prone to infection, risking her life in the process. In fact, many women who suffer from botched abortion procedures conducted by non-doctors end up being rushed to the hospital, and some of them—the mothers—would not survive. On the other hand, if a doctor performs the abortion, it could be safer… but illegal just the same. And this leads some take a rather longer route to abortion. They go to the hilot to do the pis-it (pisil) where the baby will be killed inside the womb. Then they will proceed to the doctor to have the lifeless fetus removed from the womb through raspa. In this case, guilt is not in the hands of the doctor, because it was not she who killed the fetus. This scheme, however, is not only riskier, it is also more expensive. The hilot charges around P4,000-5,000.00 while the doctor-abortionist collects P10,000.00-12,000.00 for the procedure. This excludes the cost of medicines the patient has to take afterwards. 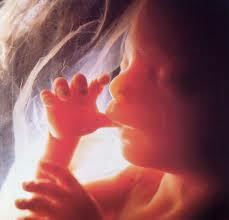 Going back to the doctor-abortionist, it is certain that she has performed several abortion procedures over the years. And I am not talking about legal abortion which could be performed if the life of the mother is in danger. I am referring here to abortions done simply because the parents do not want a baby, or another baby. I have gone to the doctor’s clinic and I observed that there’s a vacant lot behind it. I wonder if there is where the aborted fetuses are buried. It would be interesting to ask their neighbors if it were true, as many people claim, that they hear baby cries coming from the vacant lot at night. An increasing number of countries have laws allowing abortion on request, that is for whatever reason the woman has. Pro-choice feminists view the right to an abortion as integral to a women’s right to sovereignty. What do you think, dear karikna? this bothers me a lot to know that heinous act like this is being tolerated.it is a criminal act to kill specially babies who did not ask to be created…granted that “accidents happen” why wait until the fetus is viable?and i am appalled that doctors performing abortions are allowed to practice medicine…. i know of someone who did it . and they are supposedly GOD fearing people ? i am appalled.shame on the doctor who performed it . Abortion as a matter of choice (and not of necessity) is murder–plain and simple. We are not just talking here of foetus per se but HUMAN foetus. . . . . In the case above, ¨success¨ is not the triumph of transcending a difficulty but the success of GROSS IRRESPONSIBILITY. About the crime of the medical doctor, it is not only against the law but a blatant violatiion of the very Hippocratic Oath she took when she accepted the responsibility of sustaining life and not to be an agent of death. Dumteng to ti aldaw nga normal lang nga aramid ti dodoktor daytoyen. Ngarud, kasapulan nga aggaraw ti gobyerno tapno maimplementar a nasayaat daytoy iti masakbayan. Mabalin nga agaramid da ti counselings, etc, tapno mapasigurado nga agbalin ah positibo ti agbalin a resulta na. Ngem ita, gapu ta illegal, ken nakitid pay la ti panagpan panunot ti kaadwan, ala ket ibalud tayo ni doktora ah. Isu met ti napasamak kadagiti natatan ok a tattao ditoy lubong, di ngamin? I would just however like to comment on Sir/Ma’am Alwadam Kannaway’s statement, “Dumteng to ti aldaw nga normal lang nga aramid ti dodoktor daytoyen” let us not generalize please because I strongly believe that most doctors who took the Hippocratic oath will live to observe and not violate the oath we doctors took. I really hate to talk about abortion, when i was at my age of 17 one of my friends in manila went to a hilot in cavite, i was shocked when i found out that the hilot was on ilokano from Ilocos Sur. Then years been past, my sister got married and not been blessed to give birth on her babies, 2 babies was not meant for her, her womb is not that healthy like other women out there to carry a baby, she always crying if she saw on the television about abortions or something about leaving a baby behind. She’s one of those married woman who cannot have a baby. She always praying for it that maybe someday the good Lord will bestowed her a baby. Years had past again. My other sister got pregnant, but not to her husband, it’s a sin. I could not imagined my self helping her with that abortion matter. if only i could easily tell to God that give that baby to my other sister so that there’s no abortion anymore, but hell, it happened. I just prayed to God to forgive us. Sometimes life is too unfair like what had happened to my sisters. Saba sabali nga talaga ti rules kada nasyon. Ditoy Canada, naka advertise pay nu buntis ka, nu sinno ti contact-kem, nu sinno kasaritam nu saan ka pay a ready ta ubing ka pay. Nu met ready ka ta kayat mo lat tulong wenno pam mag baga, adda met. All support ti Canada nu anya man a desisyun a aramidem. Sapay kuma ta kasta met ti pamay an da dita lugar tayo, ta saan tay la a sikat ti koruption ken dad duma pay a saan a nasayaat. having a child is never a mistake .shame on people who resort to abortion just because they want to “still live to the fullest”well you never will because you know that in the back of your mind that once in your life you stopped a heart from beating.forever and you spared his/her eyes to see the beauty of this world .who are we to take other peoples lives?at most an innocent childs .